Business areas: R&D, drug discovery, women healthcare, infertility and harmonal deficiencies. CBRX is in the business of research and development of special kind of drugs targeted to women’s health care. To date, they have developed six products: ive bioadhesive vaginal gel products that provide patient- friendly solutions for infertility, pregnancy support, amenorrhea, and other women’s health conditions, and a bioadhesive buccal system for male hypogonadism – CRINONE 8%, CRINONE 4%, STRIANT, Replens Vaginal Moisturizer, RepHresh Vaginal gel, Advantage-S, Legatrin PM. CBRX net revenue comes from 1) net product revenue 2) Royalty revenues. On March 3, 2010 the company and Actavis entered into a purchase and collaboration agreement. Actavis transaction closed on July 2, 2010. In consideration for the sale of purchased assets and shares (11.2 million) Actavis paid the company $47 million in cash. Actavis agreed to make royalty payments to the company of 10 to 20 percent of annual sale of certain Progesterone products until at least 2020. The parties entered into various ancillary agreements. CRINONE is sold outside US by Merck Serono S.A. in almost 60 countries. Miphram S.p.A sells STRIANT in Italy. In June 2004, Lil’ Drug Store Products Inc. entered into a five year agreement for RepHresh Vaginal Gel and foreign sales of Replens Vaginal Moisturizer. In Sept. 2007 CBRX and Ascend entered into a five year license and supply agreement for PROCHIVE 4% progesterone gel. In April 2011, March 2011, and July 2011 the Company entered into license agreements for the Company’s STRIANT testosterone product with Actient Pharmaceuticals LLC, The Urology Company Ltd, and Invaron Pharmaceuticals, Inc., for the U.S., Europe, and Canada, respectively. The Company is currently engaged solely in one business segment — the development, licensing, manufacturing and sale of pharmaceutical products. Looking at marketing strategies it is evident that company is in collaboration with partners who have strong presence in country specific market. This is a cool business model with low cost and just to focus on research and development activity and eat royalties. The major risk for the company’s business if it fails in research and development. Do R&D, sell license and make money via royalties is the main business theme of CBRX which in fact is very good considering marketing risks and various costs involved in that process. The Company spent $0.8 million in 2012, $2.8 million in 2011, and $8.6 million in 2010 on research and development activities. Generally company’s drug development activity takes three major stpes: 1) Company formulates an active drug ingredient into BDS 2) files IND (Investigational New Drug) application and waits for FDA approval 3) Company does clinical studies. Following all the major steps company and its development partners analyze the data and demonstrate its safety and effectiveness. After that drug comes into market. CBRX’s net revenue was $25.8 million at the end of fiscal year 2012 as compared to $43.01 million in 2011 and $45.6 million in 2010. There is a declining trend observed in net revenue. The similar negative trend is observed in gross profits which were $13.04 million at end of fiscal year 2012 as compared to $31.37 million in 2011 and $36.67 million in 2010. However net profit(loss) from continuing operation says different story. CBRX’s net profit(loss) from continuing operation was reported negative ($21) million at the end of fiscal year 2010 as compared to positive $20.52 million in 2011 and positive $9.9 million in 2012. Company loss money in forming strategic alliances but fortunately come back in following years. This is a positive sign. The similar trend is observed in comprehensive income as well. CBRX’s comprehensive income was reported negative ($21.83 million) at the end of fiscal year 2010 as compared to positive $20.43 million in 2011 and $10.09 million in 2012. CBRX’s total assets were $34.13 million at end of fiscal year 2011 as compared to $35.9 million in 2012. The total assets has grown by 5% in 2012. There is an upward trend observed in total assets. CBRX’s total liabilities were reduced from $14.85 million in 2011 to $5.02 million in 2012. This is a positive sign. Another thing to be noted that at present company is not in debt which is a very good sign in the favor of investment into this company. CBRX’s interest income are increased in 2012 to $238.03 thousands as compared to $107.25 thousands in 2011 and $28.84 thousands in 2009. Interest income increased by almost 100% in 2012. The company gets tax benefits from state government for research and development activities as well. CBRX’s shareholder’s equity was increased by almost 50% to $31.36 million as compared to $20.63 million in 2011. There is a growth pattern found in the cash and cash euivalents at the end of fiscal year 2012 as compared to 2011. In Dec, 2012 cash and cash equivalent were $13.20 million as compared to $10.11 million in 2011. These are increased by almost 30 percent. CBRX’s financial leverage (liabilities/assets) was found to be 14% at the end of fiscal year 2012 and 41% in 2011 (see figure). There is a decresing trend in financial leverage which is a good sign. The current ratio (current assets / current liabilities) at the end of fiscal year 2012 was 538% as compared to 514% in 2011. CBRX’s ROE is almost 21% which is above average. CBRX performed well to recover from economic crises and its internal shortcomings of 2010 and showed improved performance. Currently common stock of CBRX is trading at $0.68 per share on stock market (52 weeks range: 0.55 – 1.23). The company was in loss in 2010 and was able to come back in 2012. Currently it has no debt. Since last sixmonths its stock is on progressive trend as well. The business model which this small company is ver good in nature with very low cost and higher profits (royalties based revenues). Its current P/E ration is roughly 11.71 with beta 1.54. 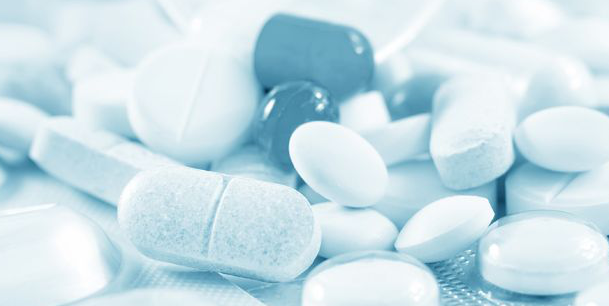 Company has strategis partners across the globe for marketing its innovative drugs. We this this is a good investment for short term (~6-8 months). Form 10-K, Annual report Columbia Laboratories Inc., Fiscal year ended Dec 31, 2012. Next Article Next Article: Top performing Hedge Funds!